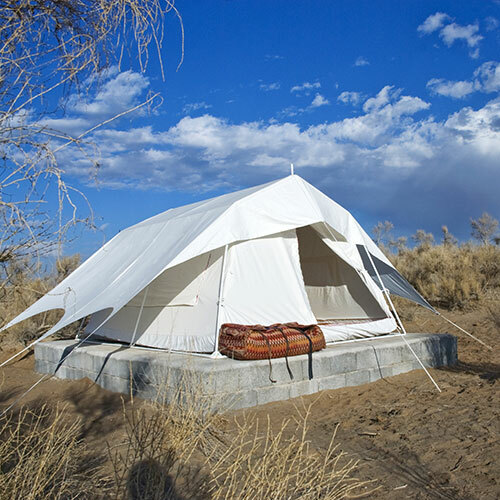 Our tents have full equipment for a comfortable stay in the desert. Electricity is available for the tents. During the hot days mosquito nets are used as a natural air conditioner to get air circulation and for the cold season a heater or Korsi (traditional Iranian heater) will make the air in the tent pleasant. 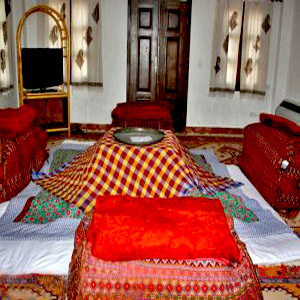 Rug, mattress, pillow, blanket, and sheets are available according to the number of people that have reserved the tent. There is enough space between our nomad tents to provide adequate privacy for our guests and they are located close to the main complex, bath, and restrooms. 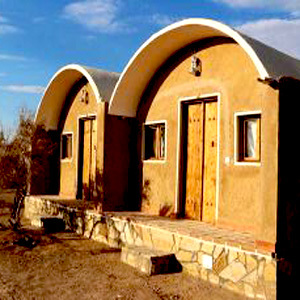 Eco-Resort will host the guests in rooms designed in a Carvanseraei style building, in traditional Iranian nomad tents, and in an Iranian village-style rooms. 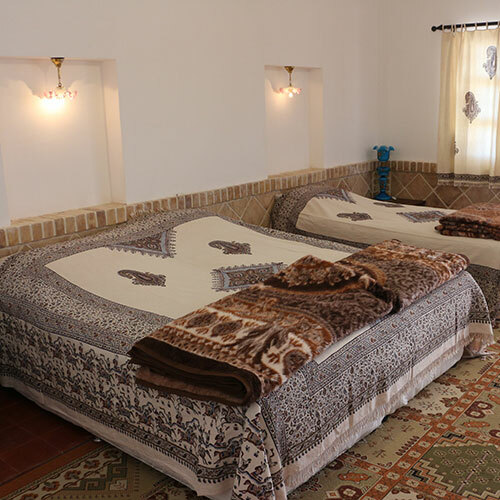 The rooms of the Carvanseraei are equipped with air conditioner, bathroom, western toilets, two beds, refrigerator, and TV set. There is the possibility of adding an extra bed if needed as well. The interior of the rooms are designed using thatch, brick, and plaster which gives you the sense of being in a traditional Iranian desert home. On the roof the complex there is a special suite room called Shahneshin (King’s Room) which has a panoramic view of the beautiful desert and farms. This beautiful room is known as Gooshvareh (earring room) in Safavid architecture. Gooshvareh rooms are located on both sides of the Shah Neshin. Shah Neshin room (the seat of kings) was designed and built for hosting special guests of the family and Gooshvareh was built to structurally support the dome of Shah Neshin and if there was going to be a big party in the house and the Shah Neshin was full, a number of the guests will stay in the Gooshvareh. Koomeh in Persian refers to small rooms in a desert that in the past farmers built them to protect their land or hunters to hunt their prey. Matinabad eco-camp has 13 Koomehs now. Mtinabad Koomeh’s are built with brick and muds and the roof has a dome shape for the best natural air circulation in the room. 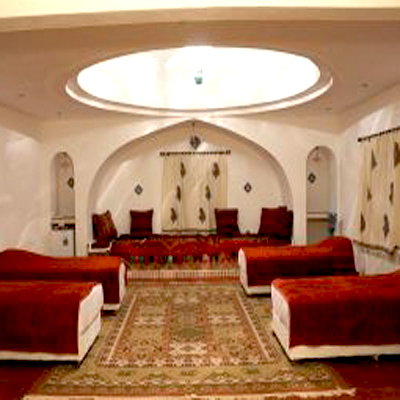 These rooms are equipped with air-conditioners and heaters. Koomehs are supplied by 2-beds that have the possibility of adding one more if needed. 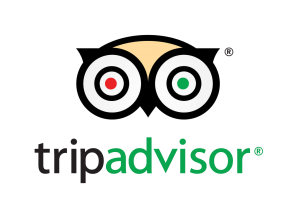 © Copyright 2016 Matinaabd Eco Resort. All Rights Reserved.